IRO will attend the Febratex exhibition. Theme of the day was the benefits of working in the textile machinery business and how to attract young people. TMAS värnar om personlig integritet! Home /TMAS värnar om personlig integritet! 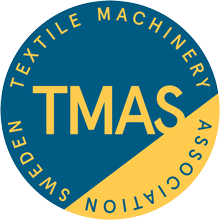 Download TMAS springmeeting program. Report participation in the meeting here.